Jan 25, 2014 | Our first Ebook is now in the Apple library, and it is free! All you need is an Apple iPad with iBooks to download and read it. It is a tribute to the doctor who intoduced the founding members of our group in 2008. 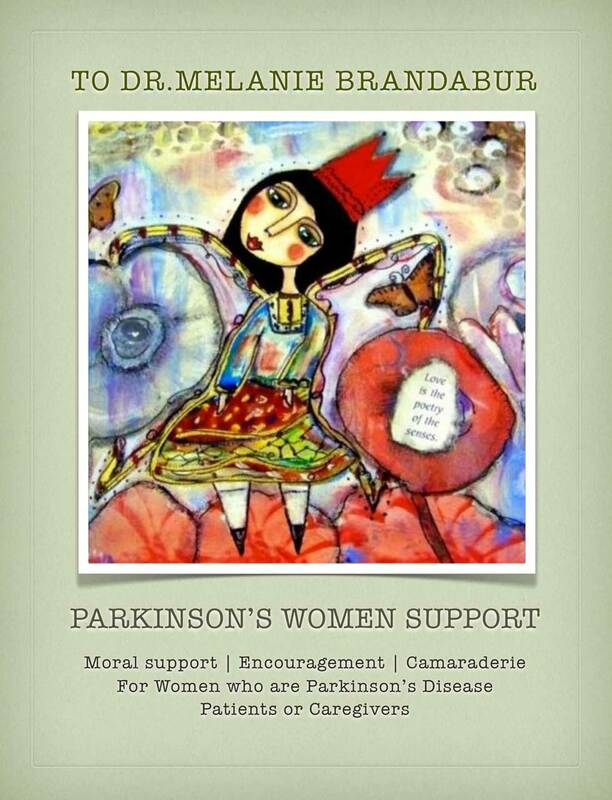 Parkinson’s Women Support has been going strong ever since that introduction, so we are giving her a nod, hence the title, To Dr. Melanie Brandabur. The collection of tributes and photo memories to Dr. B offers moral support, encouragement, and camaraderie for women who are Parkinson’s Disease patients or caregivers. Hope you like it! Don’t have an Apple IPAD? Check out this pdf, To Dr. Melanie Brandabur dr-b-tribute-web dr-b-tribute-web.